NATIONAL HARBOR, Maryland, (March 4, 2014) -- As the sports world prepared for the Super Bowl, many of the greatest minds in sports concussions and brain trauma gathered to share the latest science, research and new products available to protect athletes from harm, during the #C4CT Concussion Summit. 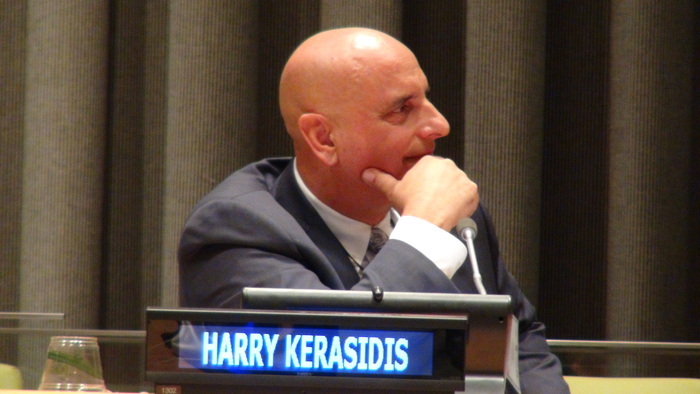 Among the expert panelists was cognitive neurologist Harry Kerasidis, M.D. who introduced XLNTbrain Sport™ , the first complete concussion management program for all sports and levels. This program was reported about on NFL.com that week. Presenting at New York’s United Nations building on January 29, Dr. Kerasidis explained that technological advances, combined with his personal experience studying and treating thousands of concussions, have come together to form a new clinical-caliber tool called XLNTbrain Sport™. Designed for athletic trainers, athletic directors, coaches, league officials and parents, Dr. Kerasidis explained XLNTbrain Sport™ delivers a comprehensive concussion management system, comparative to the NFL’s protocol, ideally suited for a wide range of sports leagues, schools and medical applications. With Mississippi recently legislating concussion education, now all high schools and colleges in the US must face the cultural change that concussion awareness has brought. With more than 5,000 athletes currently using XLNTbrain Sport™, the cultural shift is beginning to become more evident both on the national awareness level and local practical level. XLNTbrain, LLC provides the first complete sports concussion management program for all sports and levels. Based in National Harbor, Maryland, XLNTbrain assists health professionals with a fully-integrated concussion management program designed to help prevent, detect and protect concussions, guiding athletes safely back to normal activity and gameplay. More information is available at xlntbrain.com and by calling (855) 333-XLNT (9568).